The building of a training centre for tailors was in the focus of our work during our this year’s stay in The Gambia. 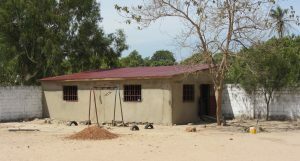 On March 21st we started building the centre at our school area and seven days later a preliminary examination was carried out by a generous sponsor, who is very experienced in the building branche, of our society. All of the craftsmen, that means: bricklayers, carpenters, locksmiths, tilers and joiners, came from our village. 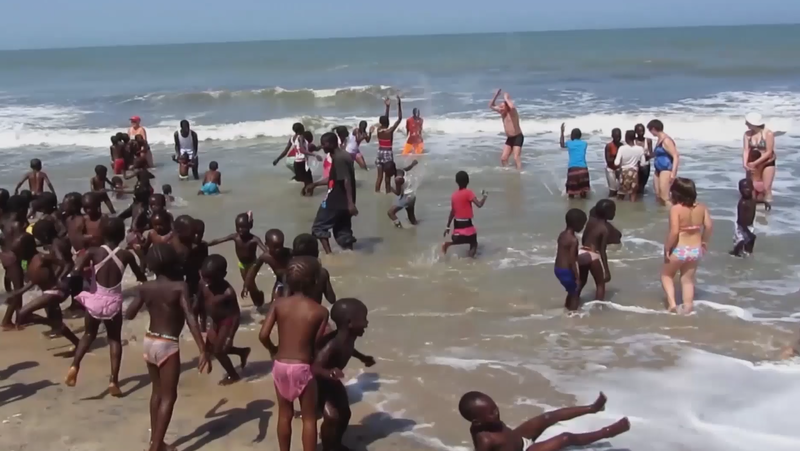 Because of their very good work we could overcome all the problems which have always been normal for all of our activities in The Gambia. Because of ecological reasons we wanted to use solar energy instaed of a generator for energy production. 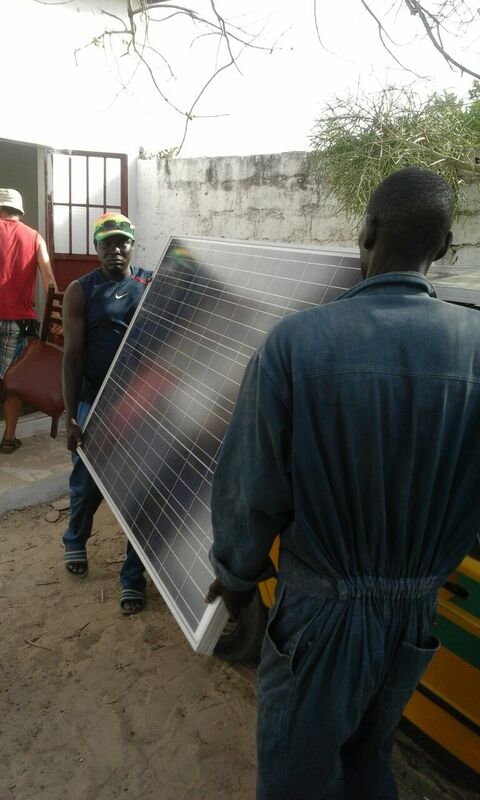 So we talked the planning and realisation of the necessary works with a local solar energy firm and they immediately started the solarcells installation. So in April 2016 solar energy was produced. 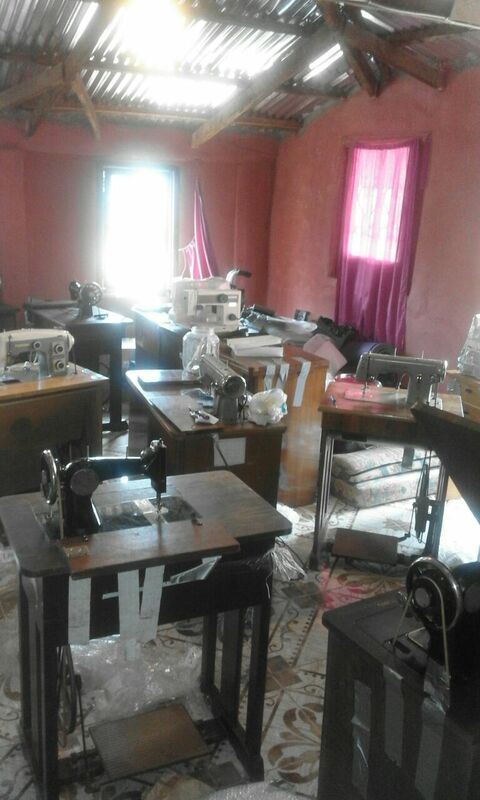 The building of our training centre was finished before we went home again and now in August eight to ten young village people can begin their one and a half or two years lasting vocational training as a tailor. The training is financed by German sponsors and a part of the running costs, a.e.the costs for materials, will be taken by the trainees who earn money through sewing the school uniforms for our pupils. Many people from Güstrow, Bützow and the surrounding area helped to realise this project. 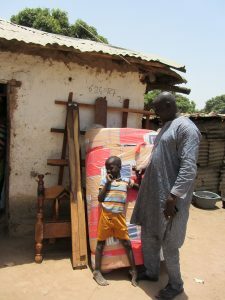 A lot of donated sewing machines ( mechanically or electrically powered) were sent to The Gambia in a container by ship. Of course, our “regular” tasks weren’t neglected while we were there. As we do every year we visited our grown up god-children to be informed about their educational progresses. One of them is Fatu who can start her training to become a nurse because she gets financial support from German godparents. That our help is effective proves Soliman, His training to become a computer specialist was paid by godparents and now he has got a job at a government office. 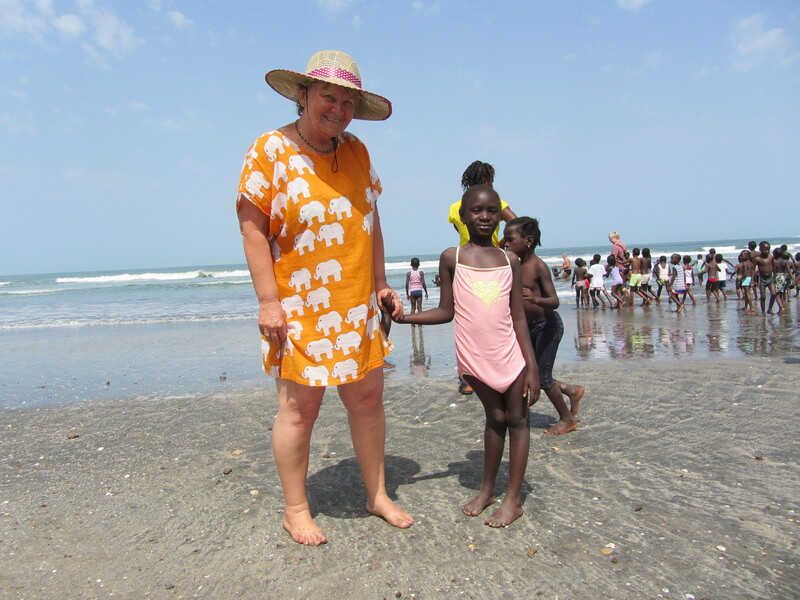 Traditionally we organised our yearly beach party for our schoolchildren. And thanks the commitment of all of the German visitors the children had a lot of fun and were very happy. Another traditional event was the football match between a Labakoreh team and a team from the neighbourhood. We are happy to see how carefully the football players handle the sponsored footballboots and the net. 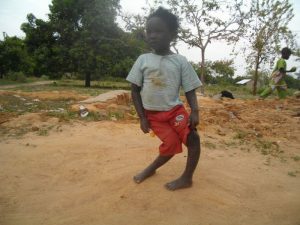 And there are two other children we could help to improve their living conditions. One is the mentally and physically handikapped 9 years old Ousman. A woman – who formerly lived in Bützow but now in Holland – and her partner became his godparents and bought him an urgently needed wheel – chair, which was sent to The Gambia together with the sewing machines. And we bought a bed for him, because he was sleeping on a mat on the naked floor. Especially happy we were because of Ramatoulei’s health progress. 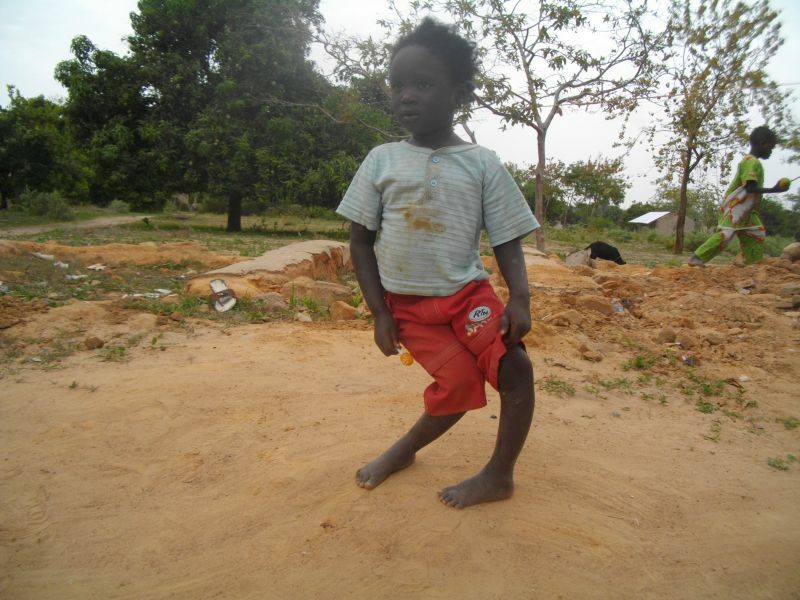 Suffering from rickets she has got medicine from a German sponsor for 4 years and it is enormous what can be done with 70 Euros – for the Gambian village people prohibitively expensive – per year. 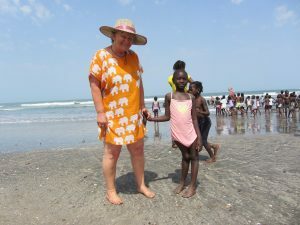 Sustainable “help for self-help” – that is what our society wants to offer the people in the smallest African country. And we think with the realisation of our new project we are on a good way to make our aim come true. But all our activities are only possible because of the support given by many friends and sponsors our society has got. We want to thank them very much. 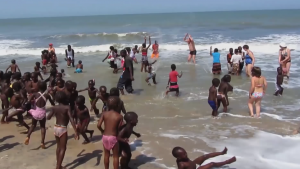 This year on behalf of them all we’d like to name the students of the John-Brinckman-Grammarschool, who organised a “Day for Africa”, and the NUE in Dortmund.